Mosquito bites can be more than just irritating and itchy! It can also cause dengue which is a mosquito-borne disease that can be very painful and debilitating. It mostly occurs in tropical and subtropical parts of the world like Southeast Asia. Research on vaccine production for dengue is on but as of now, the saying prevention is better than cure holds good for dengue. It can be caused by any one of the four dengue viruses and are related to the viruses causing yellow fever. Dengue is transmitted by the bite of an Aedes mosquito which has been infected with anyone the dengue viruses. When an Aedes mosquito bites an infected person with dengue virus in its blood, it gets infected. Another person who gets bitten by this infected mosquito, in turn, gets the infection. It is a misnomer that it spreads from one person to another as it is an insect-borne disease. The symptoms of mild cases of dengue can go unnoticed in children and teenagers. The actual signs and symptoms begin to pop up after four to seven days of being bitten by an infected mosquito. These symptoms should not be confused with that of flu or any other viral infection. Once a person has recovered from dengue fever, he develops immunity to that particular type of virus but not to the other three types. The chances of getting another severe form of dengue known as dengue hemorrhagic fever increases if the infection takes place for the more than two times. No specific medication is available to treat dengue infection. One should immediately see a doctor as soon as the symptoms are seen and get rid of any mosquito breeding grounds like stagnant water etc. 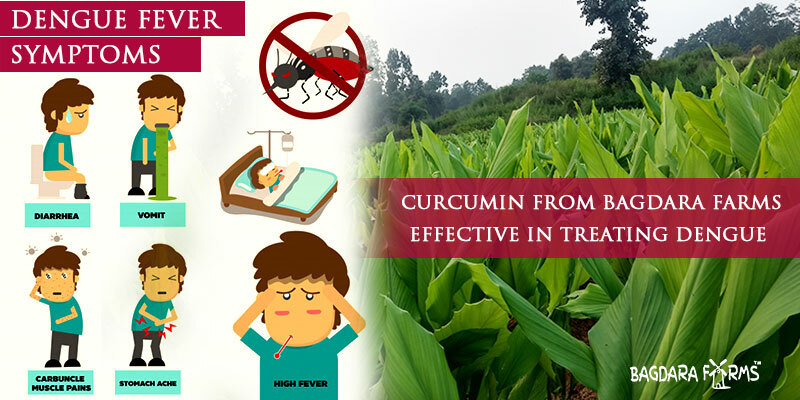 Many scientific studies have proven curcumin to be effective in treating dengue due to its antiviral properties. The ever- famous anti-inflammatory property of curcumin can help to bring inflammation caused due to the infection. 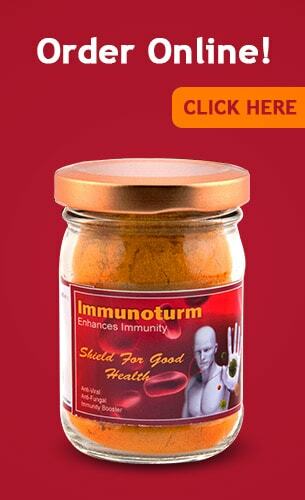 Wondering about the best brand of curcumin in a sea of products claiming to be the best? Try curcumin from Bagdara Farms which has been produced organically.